The dogs keep leaving out the back door, throwing death glares at me. Otherwise, my life has been more of the same. There is literally nothing very exciting to talk about. OK... I don't know if there's really anything else I can write about... but at least that awesome song and gorgeous picture are here. Oh my gosh! Another Blackberry commercial! 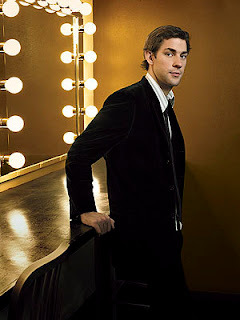 What are you doin' to me, Halpert?